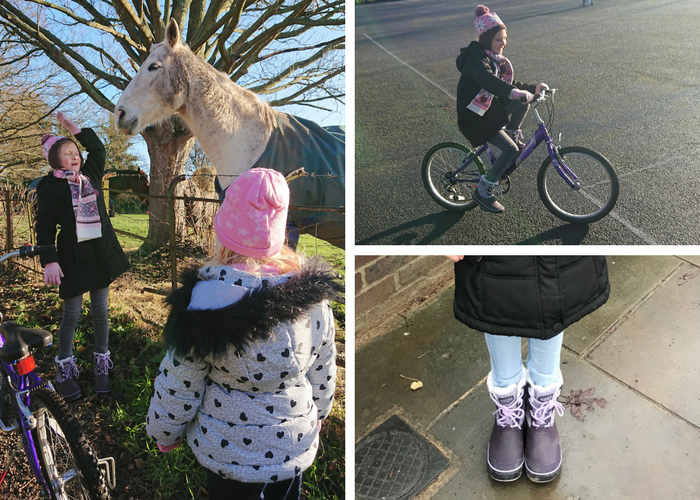 Now that the cold winter weather is really upon us, it is so important for the girls to have good boots so they can get out and play despite the weather. They need boots that are waterproof, keep them warm and at the same time are comfortable. 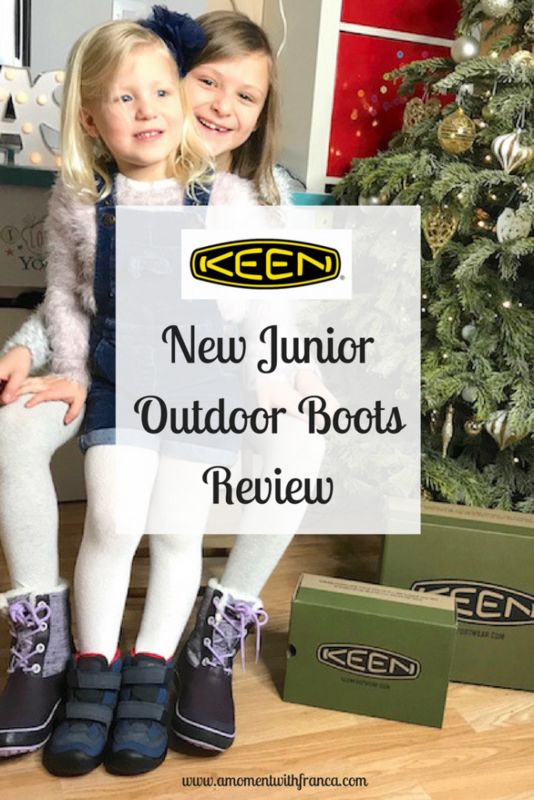 I was contacted by KEEN Footwear to review a pair of boots for the girls so it couldn’t have come at a better time as the days were starting to be so cold, wet and snowy too! After agreeing to the review I went to their website to check their boots for my girls. Bella helped me to choose hers as nowadays it is very hard to choose something without her approval. I know, and she is only 7! Well it’s fine for me if she has her own mind already, LOL! For all of you that haven’t heard of KEEN, they are an independently owned outdoor footwear brand from Portland, Oregon. Founded in 2003, they ignited a revolution in the footwear industry with the introduction of the Newport sandal, launching the concept of Hybrid footwear into the market. We received two different styles from their FW17 collection. A pair of boots from their Elsa collection for Bella and a pair of boots from their Hikeport collection for Sienna. They are both very different but have some common features too. 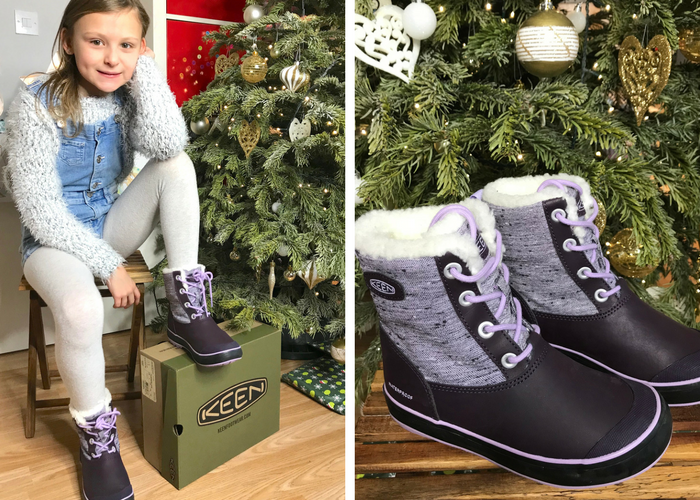 KEEN’s latest collection has everything to ensure little people step out in comfort and style whatever the elements have in store this season. Seamlessly marrying KEENs unmistakable DNA of durability, quality and functionality, with contemporary styling and a rainbow of fashion-forward colours. These boots are not just great for their purpose but they also look so cute! I really like them on Bella. They come in three different colours: Black, Plum and Light Blue. Bella chose the Plum ones which I was very pleased with as it made a change from the regular colours she normally has. 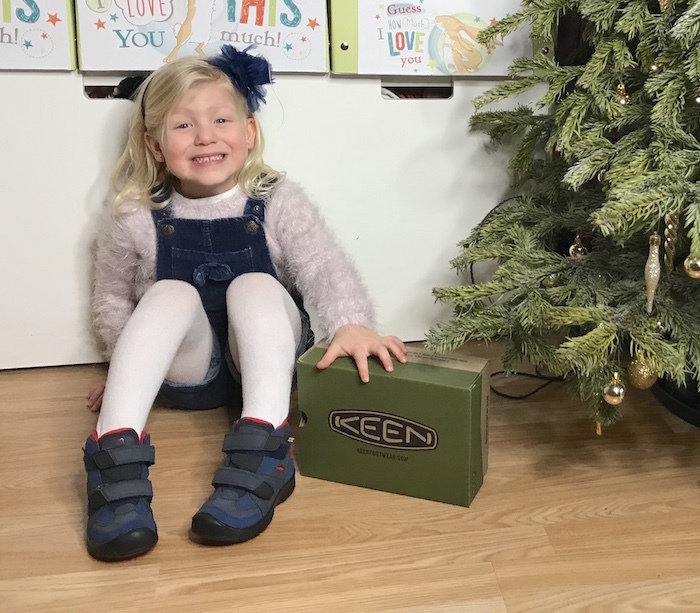 These boots come with playful lace-ups as well as a seam-sealed waterproofing leather and synthetic upper to keep your little ones dry and comfortable for the whole day. They will protect them in all winter weather conditions. There is just enough insulation for comfy indoor and outdoor wear. The padded faux-shearling collar is super soft and the vulcanised construction flexes with every step. The faux fur is is what my daughter likes the most. It looks really nice and she loves touching it. 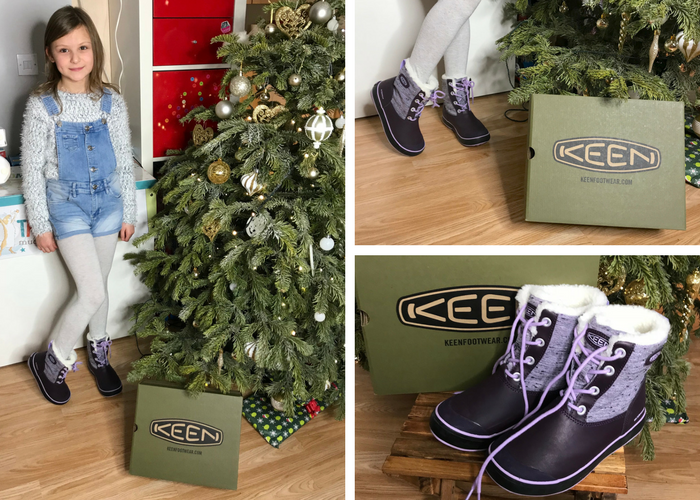 KEEN use their KEEN.WARM technology which is a lightweight, anti microbial insulation that provides warmth where you need it most. It is made from charcoal bamboo which creates something that keeps your feet really warm! Did you know about this? Interesting, right? It is equipped with 100grams of KEEN.Warm insulation, a heat reflecting footbed, fleece lining and toasty faux fur collar. This ensures that your little ones stay frost free, even in sub-zero temperatures, like we have been having lately! 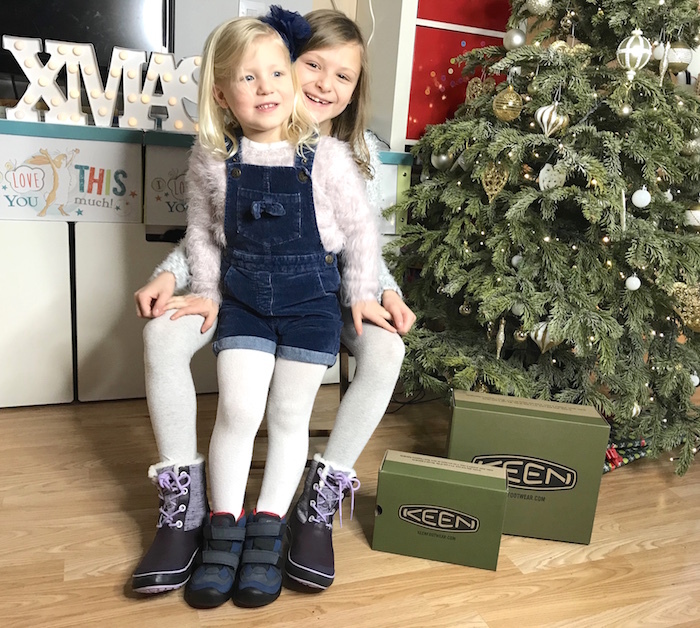 The Elsa boots are available from children’s size EU 24 (UK7) with a toggle closure for an easy, independent fit, through to youth size EU 38 (UK 5). These boots are very sturdy. I would have loved them to come in more light colours like the Elsa boots but we do like the style we chose. We got them in the Dress Blue/Blue Nights colour. I really like how they look on Sienna too. She has been wearing them a lot lately and has been so comfy and warm in them. These boots also have waterproof leather. There are two fastening straps which make it so easy for Sienna to put the shoes on and take them off. The padded collar and tongue keep her feet comfortable. 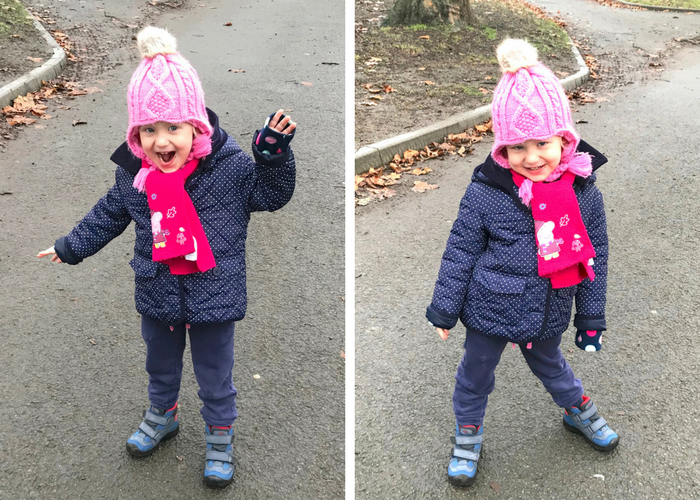 These boots have a much more sporty look so she has been wearing them a lot for nursery. They come with a direct attach PU midsole construction delivering incredible cushioning and stability to help keep a spring in their step all day long. 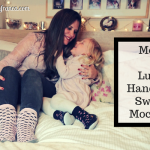 They have breathable membranes which keep tiny toes dry and fresh even in inclement conditions. Their Cleansport NXT lining, ensures they come up smelling great, whatever they have been doing outdoors! The Metatomical EVA footbed design has an internal support mechanism which is anatomically engineered to provide excellent arch support and cradle the natural contours of the foot. This provides complete comfort during all her outdoor adventures. 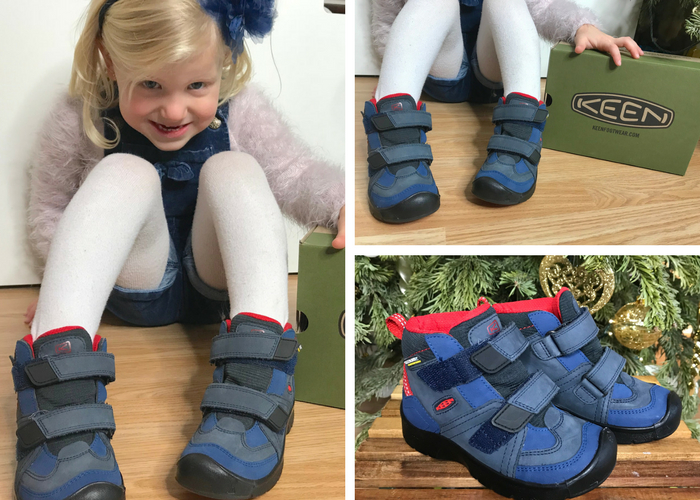 The Hikeport boots are available in Children’s sizes EU24 (UK 7) through to 38 (UK 5), with a natty Velcro strap edition for little fingers that may struggle with laces. We are really happy with both boots so far! Of course, I will need to wait until the end of the winter or even maybe give them another year to have a better idea of durability, but at the moment both my girls are really enjoying wearing them and they feel very warm and comfortable with them which is a plus for me. 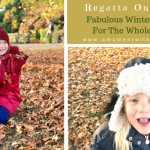 Have you bought new winter boots for the season for your little ones? 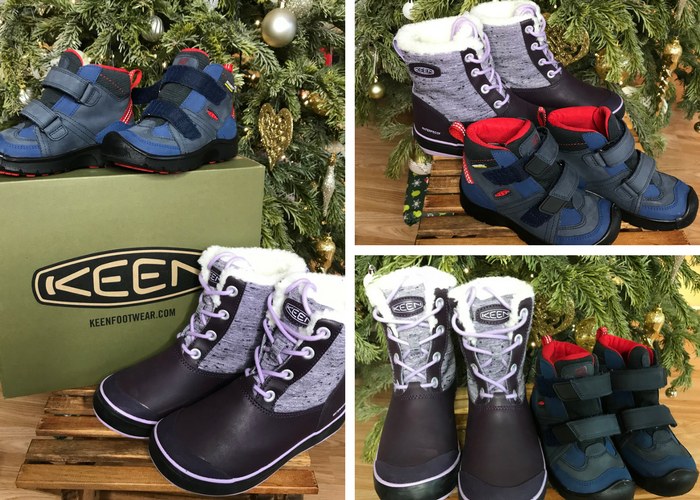 What do you think of KEEN footwear? What features stood out for you? 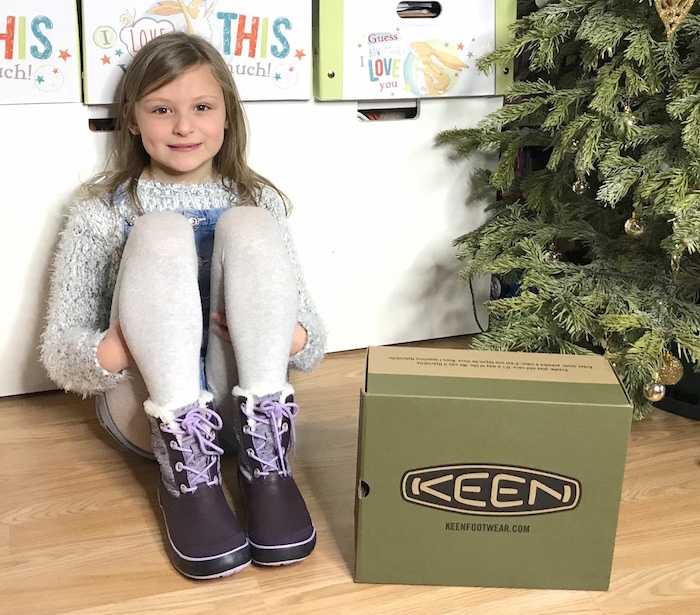 Have you bought from KEEN before? 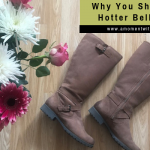 *Disclosure: we were sent a pair of boots for my girls to try for the purpose of this review. However, all thoughts and opinions are my own. Lovely, warm, strong boots. Looked really nice, perfect for riding bikes when it is cold. We bought new winter boots for our little one a few weeks before Christmas. Haven’t bought from KEEN before. 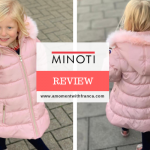 Your review has been really useful & I particularly like the toggle closure for an easy, independent fit. I love the Elsa boots, I would quite happily wear them, but I doubt they are made in adult size 6. 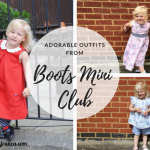 They look perfect for winter and I am sure my granddaughter would love them! 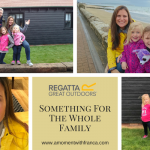 We love spending time outdoors, walking, hiking and exploring and these boots look perfect for my girls! Practical, cosy but stylish too! Yes they are perfect for all those activities! These look perfect for the terrible weather we’ve had recently. Agree! It is so windy, cold and wet lately! Missing the sun! These look sturdy, warm and perfect for winter.